To applaud the City of Chicago's recent healthy vending initiative, HUMAN Healthy Vending is offering Chicago businesses a cash bonus - up to $1,000.000 -- for switching to healthy vending. We think that the City of Chicago should be applauded for facilitating healthful behaviors. We are thrilled to offer our own incentives to encourage businesses in Chicago to make the switch to healthy vending! HUMAN Healthy Vending (http://www.healthyvending.com), the nation’s leading franchisor of healthy vending machine businesses, has announced that it fully supports the City of Chicago’s healthy vending initiative and will offer participating businesses up to $1,000.00 for switching to HUMAN Healthy Vending machines. * Businesses may choose to accept the cash bonus or to donate the equal amount to a charity that fights the causes of obesity and/or malnutrition. 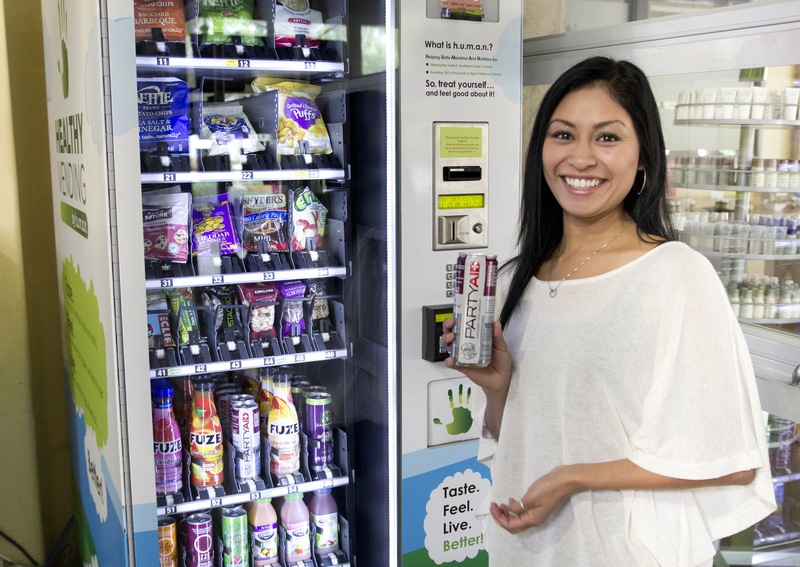 Last week, Chicago Mayor Rahm Emanuel asked Chicago businesses and organizations to participate in a citywide vending challenge to offer healthful snacks and drinks in their vending machines. 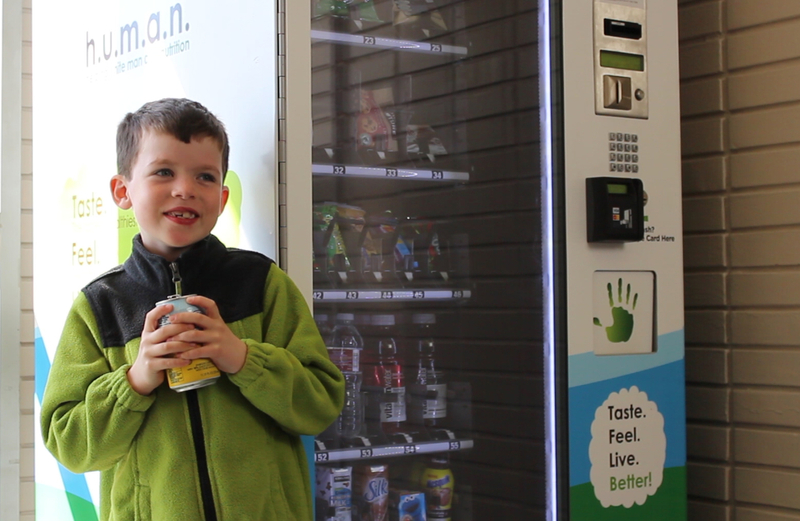 Created as part of “Healthy Places,” a partnership between the city’s public health department and the Consortium to Lower Obesity in Chicago Children, the challenge reinvigorates and extends what has been a consistent movement toward healthy vending. Last December, the City Council passed a healthy vending policy affecting vending machines on city property and reports say that 40% of the city’s vending machines are now “healthy.” This new voluntary initiative would get businesses in on the switch to healthy vending. Under the program, outlined in the city’s “Blue Print for Healthy Vending” (available here), vending machines will be designated as gold, silver or bronze depending on the percentage of healthful items stocked (100 percent, 75 percent or 50 percent, respectively.) Healthful items are those that meet the American Heart Association’s food procurement standards. Under the guidelines, specific limits are set on calories, saturated and trans fats, and sodium. Foods without added sugars are encouraged. In return for businesses offering healthful options, the city will recognize the businesses by placing them on the Healthy Places and City of Chicago websites, as well as including them in “future opportunities for media coverage.” After being vetted by the city for compliance, participating businesses will receive a certificate that they can then use for their own marketing purposes. This news comes at a time when healthy vending is a hot issue, especially as the USDA recently launched its proposed guidelines for competitive foods (i.e. foods sold in school vending machines, a la carte and in student stores), which are currently undergoing public comment. HUMAN Healthy Vending would like to congratulate the Ann & Robert H. Lurie Children’s Hospital of Chicago, the Greater Chicago Food Depository, the YMCA of Chicago, Vanguard Health System and Blue Cross Blue Shield of Chicago for their commitment to participate in the challenge. *Total cash bonus dollar amount per business ranges from $250 to $1,000. Size of bonus varies depending on the size of the business, number of machines placed, and vending exclusivity. 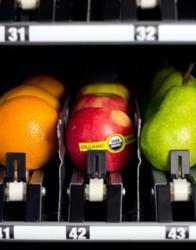 Higher sales and commissions are guaranteed for locations that make HUMAN Healthy Vending their sole vending provider. To learn more about our office vending services, or to have our office vending services at your location, please visit http://healthyvending.com/locations/office-vending-services or call 310.845.7745. HUMAN (Helping Unite Mankind and Nutrition) Healthy Vending’s mission is to make healthy food more convenient than junk food. 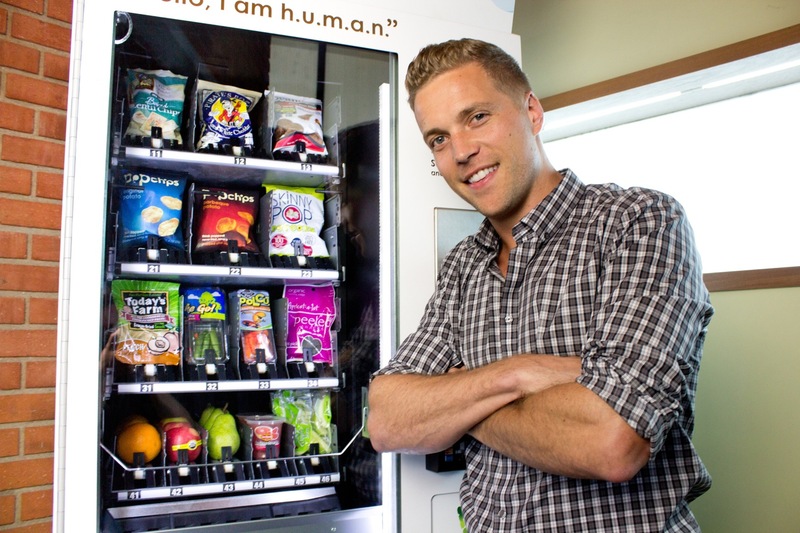 HUMAN accomplishes this by placing high-tech and eco-friendly vending machines that only vend better-for-you foods and drinks, including fresh produce and locally-sourced foods, in schools, hospitals, gyms and corporate locations across the world. In addition to providing healthful food options, HUMAN machines provide nutrition education via high-definition LCD screens that display streaming videos and other digital content. HUMAN currently has more than 1000 machines placed across the United States, Canada and Puerto Rico.